Thanks to forum Member Chaps for the idea of this FORUM , We will take the first step in linking to Manufacturers . Please Keep it to just the link of the Mfg. Added it, welcome to the forum, nice boats! No personal affiliation. I have just have been following Conrad Yachts for a while, and Xtaero has a connection with Conrad Yachts. http://www.xtaeroboats.com 22' Pilot house is primary product. "We are a Seattle, WA based company with a fabrication shop in Tacoma, WA. We ship worldwide." VirtualHuck wrote: No personal affiliation. I have just have been following Conrad Yachts for a while, and Xtaero has a connection with Conrad Yachts. We updated our website quite a bit and are offering a 24' version. Also, we can do twin or single power, forward or aft leaning windshield, open or closed cabin back, two different transom assemblies. Classifieds website for buying and selling of jet boats and river boats, primarily welded aluminum jet boats for running shallow rivers. 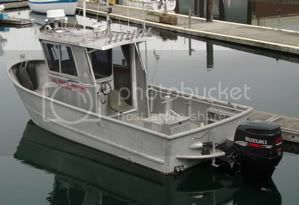 www.SilverBackMarine.com is a small hull builder in Seattle. www.DominatorMWS.com is a small boat building company just West of Seattle. Jasper has his shop near Gibsons, on the Sunshine Coast of BC, Canada. Truly an amazing builder.